Black Teflon coated N690Co steel full tang construction. 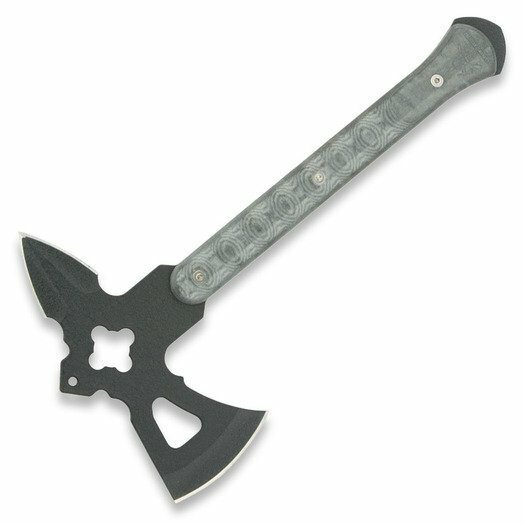 Axe head has 3 5/8" cutting edge on one side and 2 1/2" double edge dagger blade on the other side. Black layered linen micarta handles. Molded black belt sheath. Bulk packed.